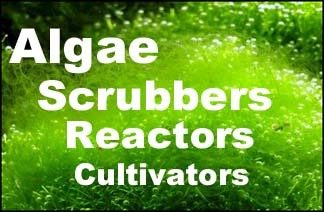 Scrubbers are optimized for nutrient removal, which is Light x AirWater Turbulence x Attachment. The attachment keeps the algal strands in-place in the rapid turbulence, and this removes the boundary layer of water from the algae which allows the most nutrient transfer (filtering). This is why a scrubber will out-compete chaeto in the same system. However if the goal is just to grow chaeto or ulva, then you really don't need a scrubber; you can just swirl them around in the sun.